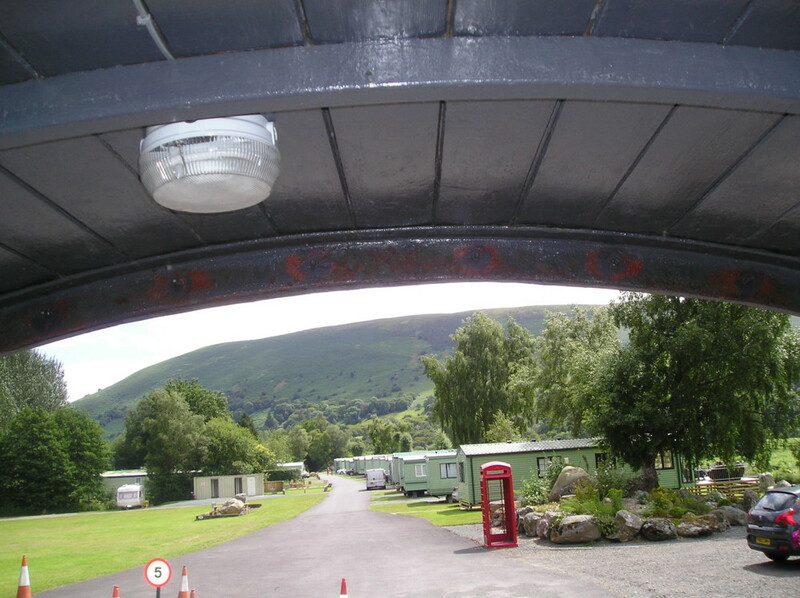 Doldowlod Old Station Caravan Park is a great destination for railway enthusiasts. 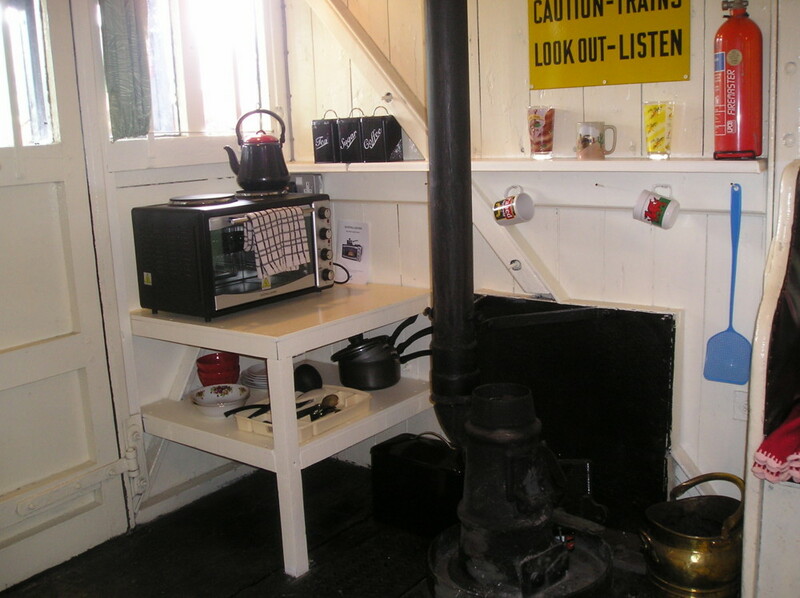 As well as original railway features such as signals, re-laid track and vintage carriage restoration projects. 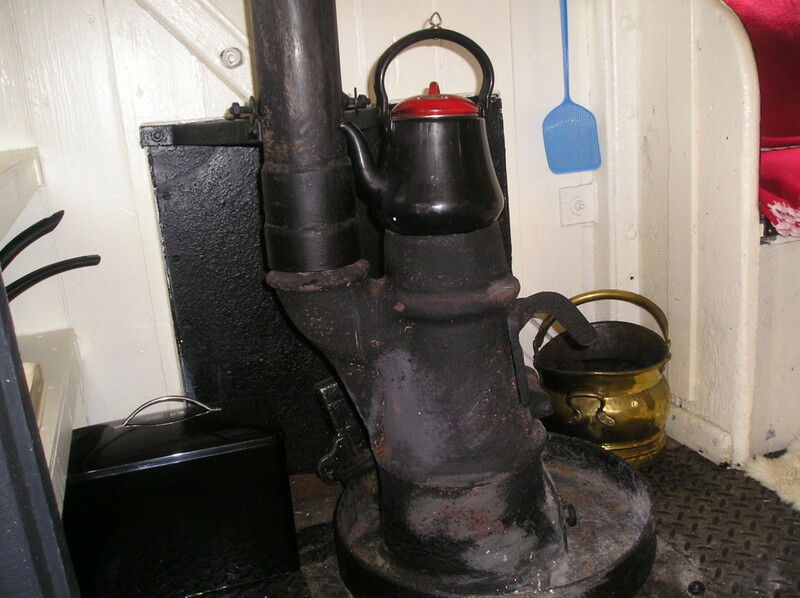 We are ideally located for visits to both main line and heritage railways. 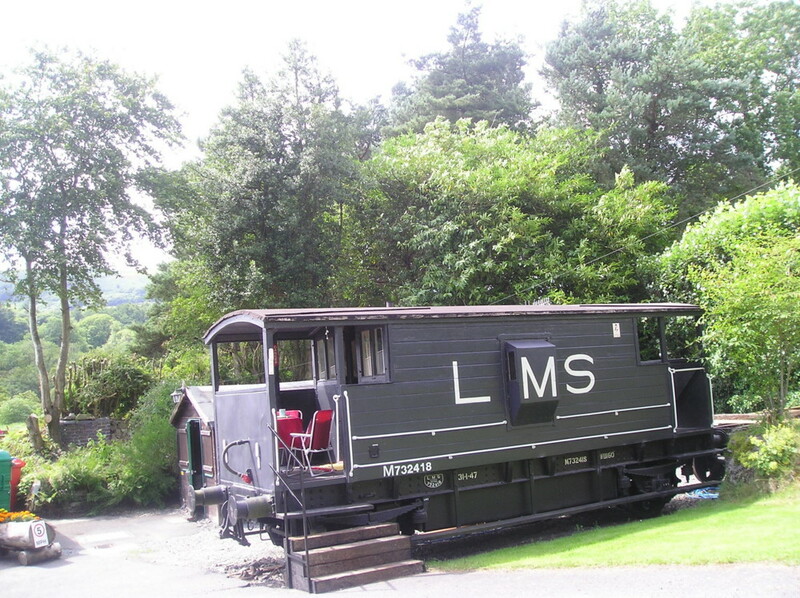 Located on rail next to what remains of our down platform, this 1940’s LMS Railway Guards Van has many original features as well as some sensitive additions to enable it to be a comfortable self catering accommodation. 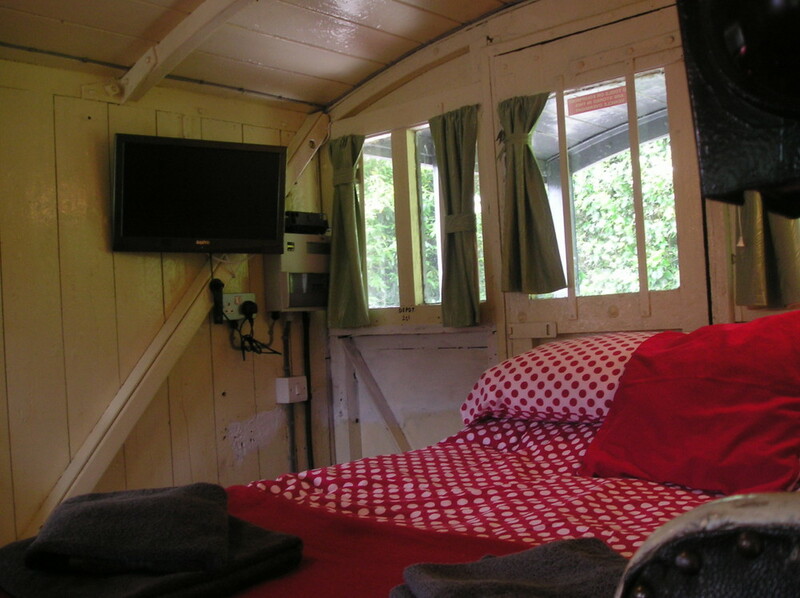 There is a fold-out double bed with a memory foam mattress; the original coal burning stove; a kitchen area with oven, hob and grill and everything you need for self catering. 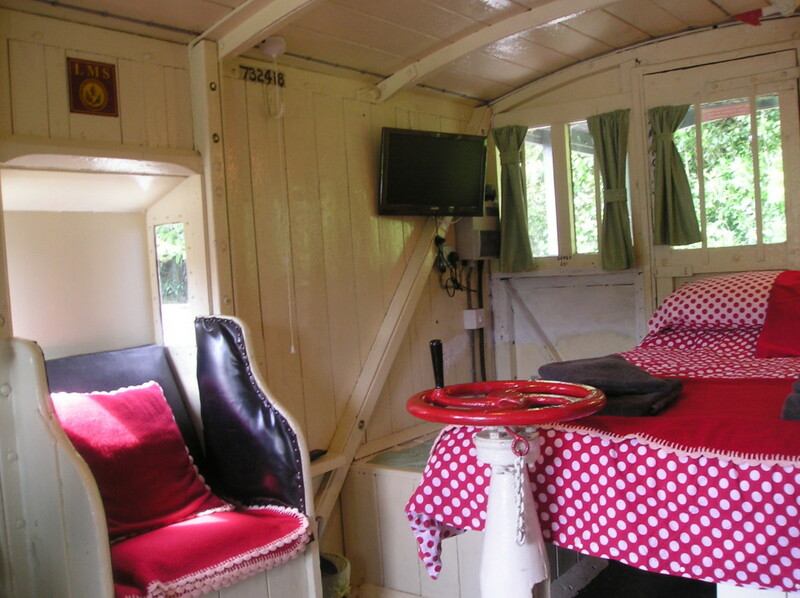 There is a flat-screen Freeview TV/DVD and the original guard’s leather chairs and wooden bench. 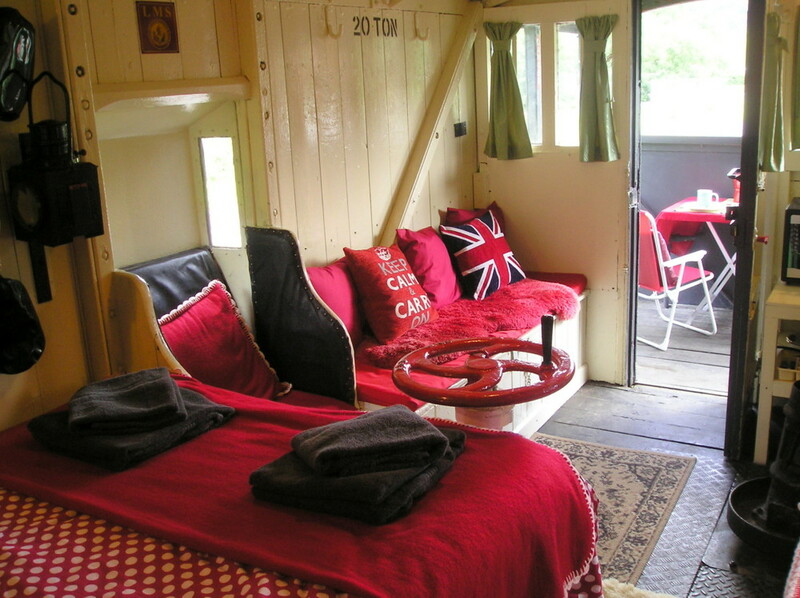 Bring your own bedding or hire ours at £10 per stay. 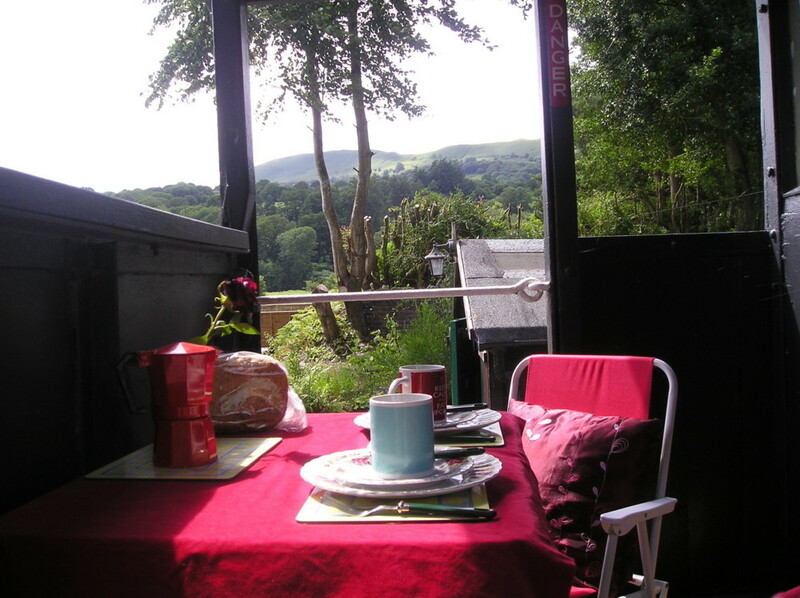 Outside one of the the original “balconies” has a cane table & 2 chairs and fabulous views towards the Cambrian Mountains whilst the second balcony has a butlers sink with running water. 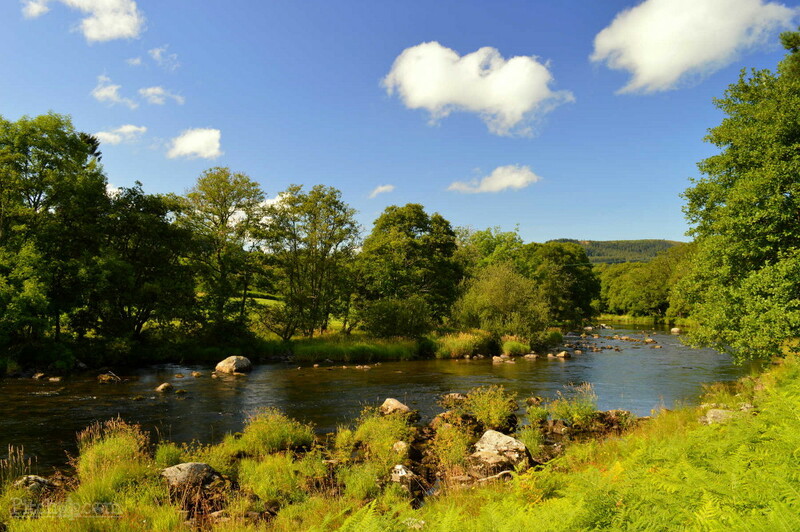 Mid Wales is Britain’s forgotten wilderness and Rhayader lies at its heart. 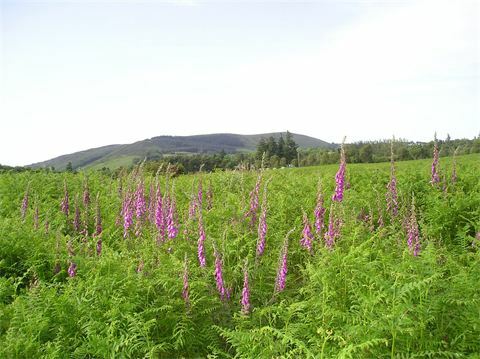 Here you can enjoy spectactular scenery and a wealth of wildlife with no jostling crowds to spoil your enjoyment. This is the land where the Red Kites are the Lords of the Skies and the rivers and streams are strongholds to otters and salmon. Our oak woods host polecats and pied fly catchers and our hills are criss-crossed with accessible foot paths and cycleways. 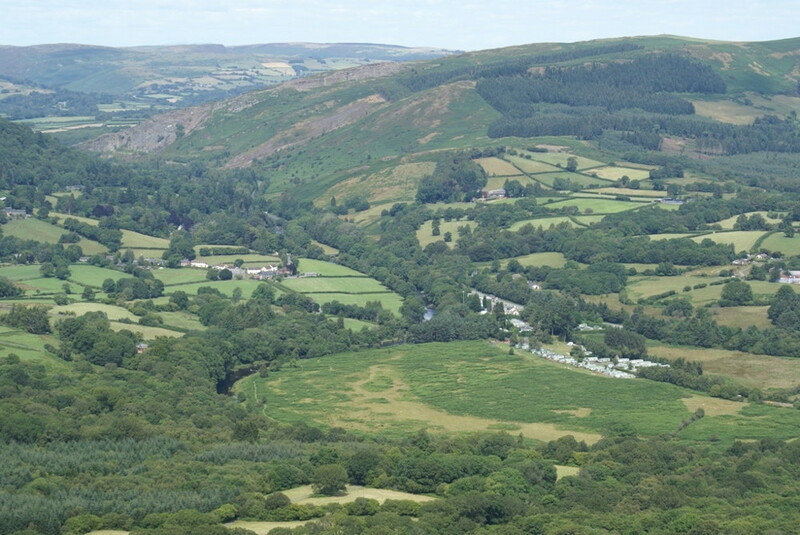 The heart of Wales line runs through the most glorious Welsh countryside between Swansea and Shrewsbury and you can join it just 7 miles away at the Victorian Spa town of Llandrindod Wells. 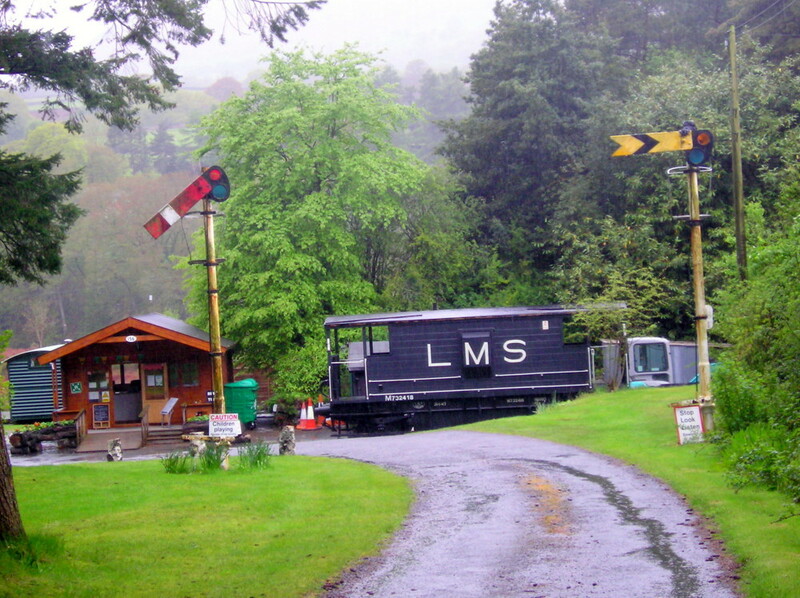 The 12 mile long Vale of Rheidol steam railway from Devils Bridge to Aberystwyth starts just 15 miles from Doldowlod. The spectacular “Welsh Lakeland” of the Elan Valley is 5 miles away. Well placed for many attractions and with a general store, post office, cafe and petrol station only 500 years away, you can have convenience as well as the peace and beauty of the countryside.